Tilghman Beach is the place! 2nd floor condo w/ elevator access. Spectacular amenities include 2 pools, 2 hot tubs, 2 kiddie pools, 2 grill areas, one oceanfront pool & one near tennis courts. A gorgeous oceanfront pergola sundeck & lighted tennis courts. 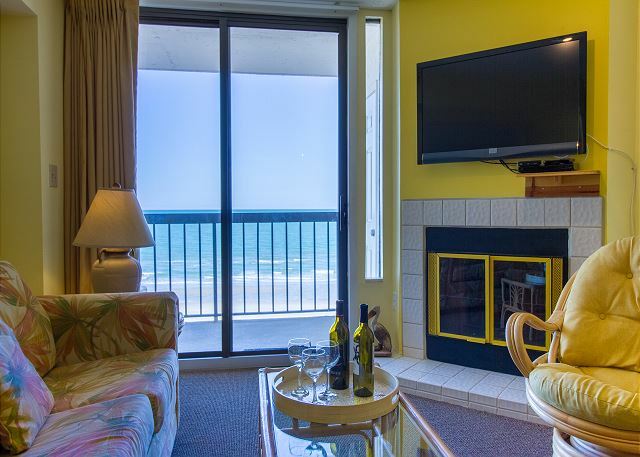 The perfect beach vacation begins here at this second floor, oceanfront condo. From the gorgeous kitchen to baths, this condo has been remodeled and it looks fantastic. Add all this to the spotless white beaches and you have the perfect destination. The views inside this remodeled beauty are almost as nice as from the oceanfront balcony. Freshly Updated in 2018. Fabulous gourmet kitchen with granite counters. New furniture and bedding decor. Every detail your vacation heart desires!!! This beautiful condo has been professionally decorated and offers extra amenities! Updated with flat screen TVs, Bose radio/CD player and more! The community has a private brick courtyard and guests are allowed use of the big, North Tower outdoor pool. 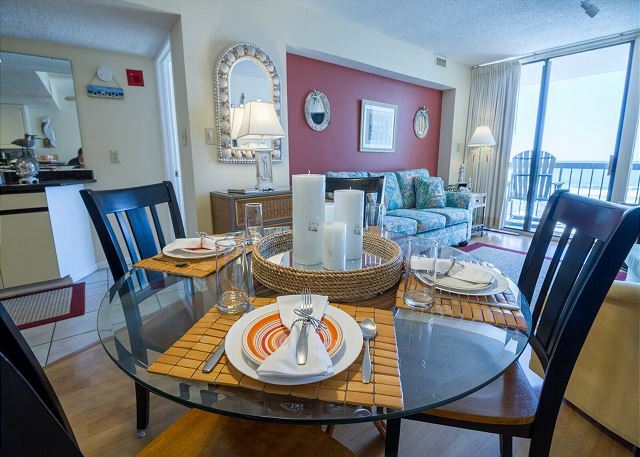 Nicely decorated 3 bedroom / 2 bath Ocean Front condo - sleeps 6 comfortably. This condo has just been recently renovated by the and nothing beats the million dollar view from the 9th floor ocean front balcony. Bring a book and a glass of wine! Relax! 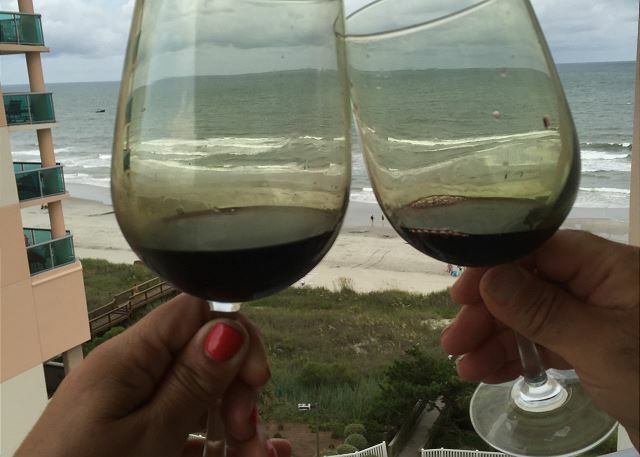 Enjoy the view from this third floor oceanfront balcony. Smart TV in Living Room. Indoor Pool! Updated! Kitchen back splash & granite counters. Furniture and bedding have been replaced! 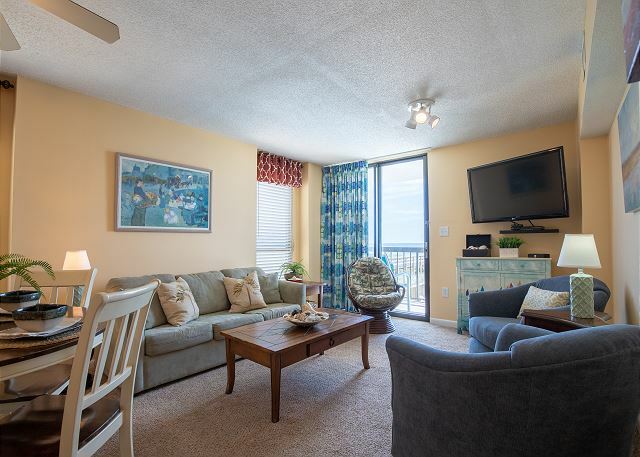 Located in North Myrtle Beach, this family friendly resort has a beautiful indoor and outdoor pool, indoor heated pool, and direct walkway to the beach. There are 2 charcoal grills, hot tubs, and a small gym to round out a wonderful vacation spot. 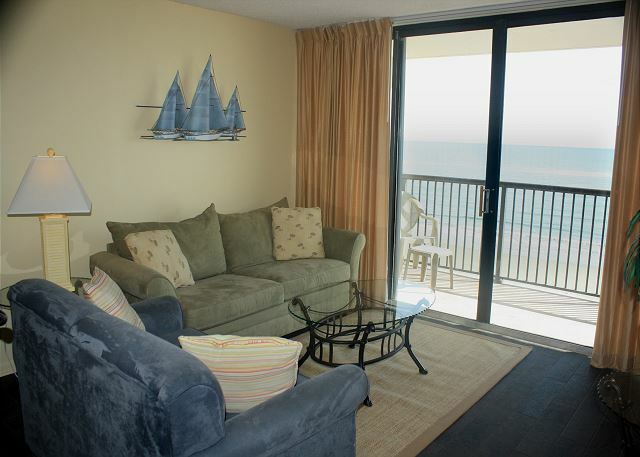 Enjoy wonderful oceanfront views from this lovely 3 BR/2 BA condo, located on the 6th floor in Sea Winds Resort. Enjoy the indoor pool with outdoor sun deck or have a picnic in the charcoal grilling area. All this & just steps from the beach! 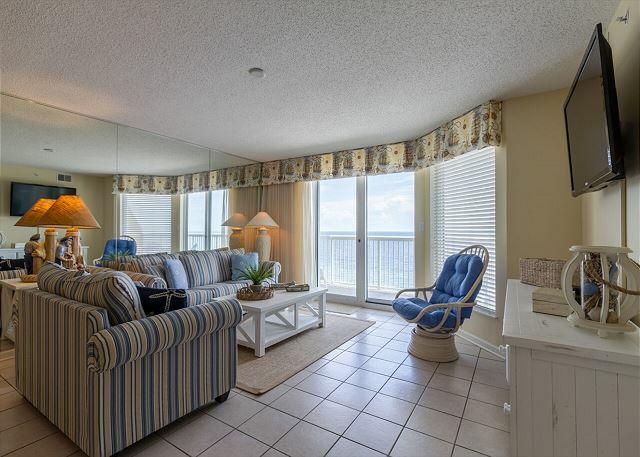 This beautiful 8th floor condo offers everything that an ocean front has but at a better price! Updated and modern, beautiful views and plenty of room for 8 guests! Relax on the balcony with your morning coffee or afternoon tea or cocktails! Enjoy the sunrise or be amazed by the sunset here at this 10th floor Sunrise Pointe! 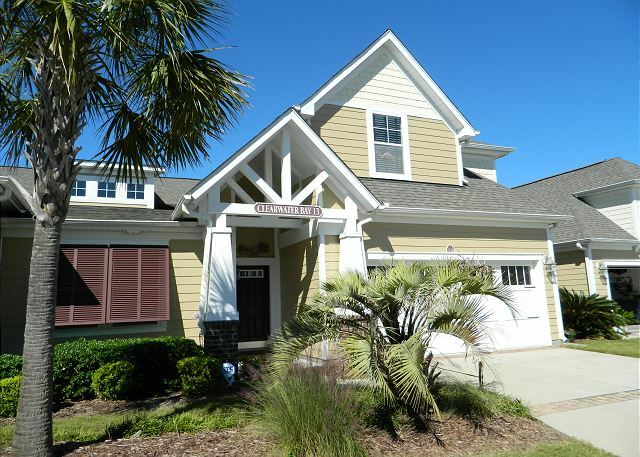 This family friendly condo is clean, comfortable and newly refurnished, located in Cherry Grove, just a few minutes from the Fishing Pier.